“The New Moon in ARIES holds special promise because 5 other celestial bodies are also in Aries! It can rock your world! What am I ready to bring to life at this time? Where do I need to take a stand? How can I take advantage of the unlimited possibilities available to me? How can I make changes that are real, not just superficial? Gou is about encounters with other people. The I Ching expresses caution here, to be careful of these encounters, to not take people as they first appear; not to distrust, necessarily but to reserve judgment. And it is better to meet people in person rather than at a distance (indirectly, e.g. via email!). The Approached Gua, Dun, indicates a retreat after this or these encounters. 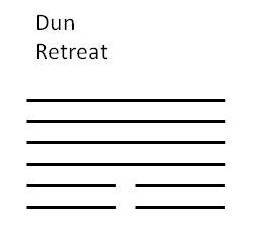 This is a positive retreat, one to gather strength for another time (next month perhaps). Both of these Gua offer caution about “little people” and to avoid inappropriate or unproductive encounters with them. The wise retreat to gather strength and reinforcements. This tells me to not get bogged down with small stuff. Advance by retreating! And note that if you are following my I Ching readings each moonth that my last Gua was Heng/Long Lasting, which is the Gua immediately preceding Dun. So, after remaining steadfast during the previous month it may now be time to step back to assess and regroup! With the I Ching timing is everything. 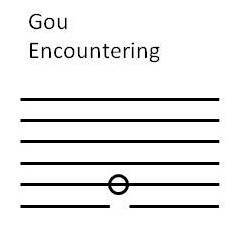 I also note that while both of these Gua this moonth urge caution, Gou corresponds to the 5th month (June) and Dun corresponds to the 6th month (July). These will be very productive months for the year. Now is a time to be watchful of encounters and to retreat into planning to prepare for the summer months. Considering all this energy in Aries, these are very cautionary Gua to received. I will be storing up this energy, putting it into plans and getting ready for a big summer! Do you use any divination tools in your life? They can help you with the ever-present influences from the environment, help with interpretation and with guidance on using the energies for forward motion, but only when it is advisable! ARIES and the I Ching for the “Moonth” ROSEMARY’S EXPLORATION: What’s New with You?